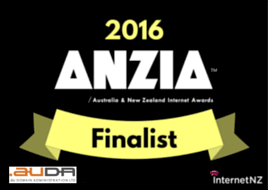 We’re incredibly proud to announce that OzPlayer, our accessible video player, has been short-listed as a finalist in the 2016 Australia and New Zealand Internet Awards. We’ve worked hard to make OzPlayer a great choice for video playback online. It’s completely accessible, plays from YouTube, Vimeo Pro, and any other provider who can give an MP4 or WebM video stream. On a modern browser it uses HTML5 video and audio, but it can fall back to Flash for those visitors (for example people on corporate systems that are still on IE8!) who need it.